Nasdaq-listed IT firm Cognizant on Wednesday said it will pay its senior executives 100 per cent performance-linked stock options if the company's revenues touch $8.51 billion in fiscal year 2013. In a filing to US regulator SEC, Cognizant said it will "award performance units to certain executive officers of the company subject to attainment of certain performance milestones as well as certain continued service requirements". Fifty per cent of the performance units would be given upon achieving the target of $8.22 billion in 2013. No such award would be given if the company's revenue in 2013 is less than $8.22 billion. The senior executives would be eligible for 100 per cent of the performance units if the company achieves revenue of $8.515 billion and 200 per cent in case it touches $9.175 billion. However, if Cognizant meets the target of $8.515 billion revenue, it would translate into a growth of 16 per cent, lower than its expected growth this year. These executives include CEO Francisco D'Souza (93,113 performance units), President Gordon J Coburn (49,758), Group Chief Executive Industries and Markets Rajeev Mehta (43,063), Group Chief Executive Technology and Operations Ramakrishnan Chandrasekaran (31,980), CFO Karen McLoughlin (18,590) and Senior VP, General Counsel and Secretary Steven Schwartz (9,376). One-third of such performance units shall be issued 18 months from December 3 (provided the grantee remains in service). The remaining units will be issued 36 month from the date of grant. Cognizant, which follows January-December fiscal, has guided its revenue in 2012 to be at least USD 7.34 billion (up at least 20 per cent compared to 2011). This was a downward revision from earlier in the year, when the company had hoped to grow at 23 per cent. 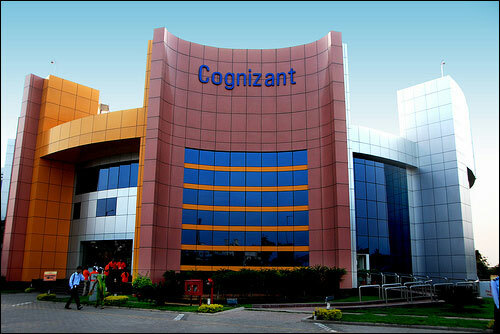 Cognizant's revenue in 2011 stood at $6.12 billion. Cognizant has been growing faster than its some Indian counterparts over the last few quarters and a lower growth target may come as a dampener for Indian IT sector, which is already seeing flat IT budgets and increased cost of operations. In the year to March 2013, industry body Nasscom expects Indian IT services exports to growt by at least 11 per cent from earlier expectation of 11-14 per cent growth during April-March 2013. Some of the larger companies including Infosys and Wipro Infosys are expected to grow much slower during the same period. However, Tata Consultancy services and HCL Technologies are expected to be sector growth leaders during the year. Cognizant has also granted restricted stock units to D'Souza (50,138), Coburn (26,793), Mehta (23,188), Chandrasekaran (17,220), McLoughlin (10,010) and Schwartz (5,049).